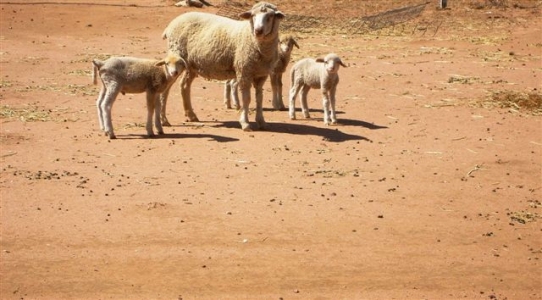 With surplus sheep sales being a major profit driver, high weaning rates are crucial. 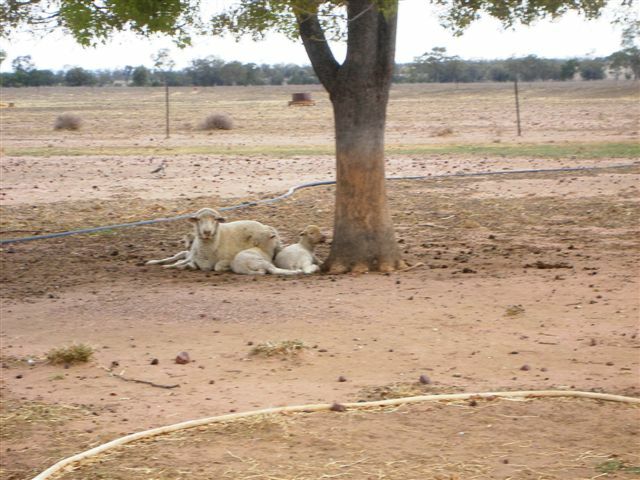 Besides fertility in procreation, maternal instincts and nurturing ability are vital components. 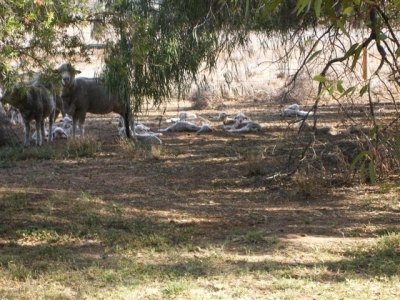 Here these young ewes (their first lambing) demonstrate clearly on a very hot November day, during the 2009 drought, the genes we have harnessed for maternal instincts and nurturing ability (these ewes just love their offspring) in a family “Well Gully” has developed with these traits in particular being emphasised. 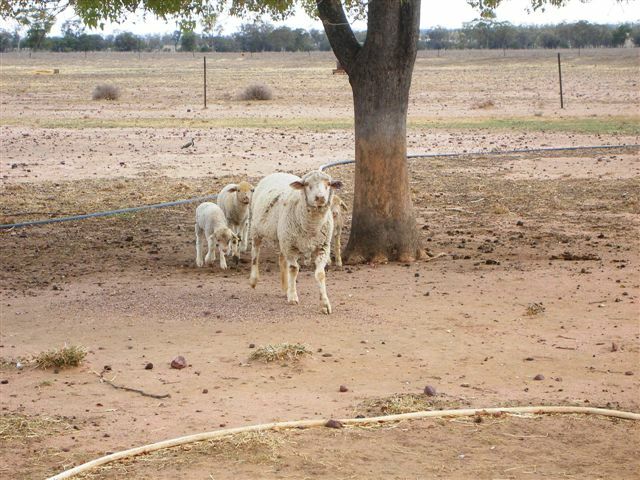 They beg the question, what has this maiden ewe got that many other ewes don’t have? 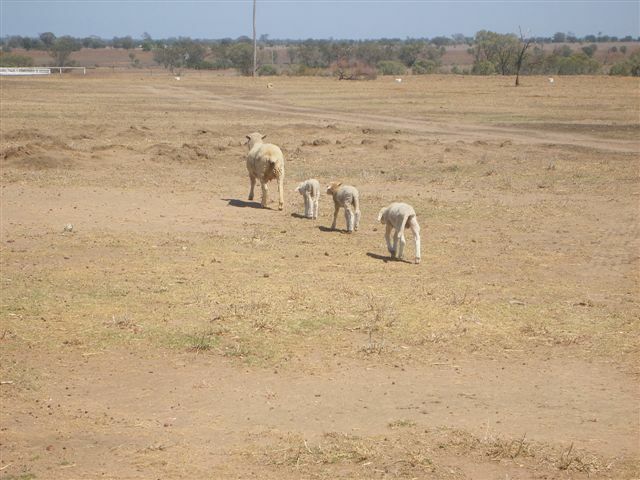 Here we have maiden ewes with triplets with the most magnificent nurturing ability other the most extreme Australian conditions. 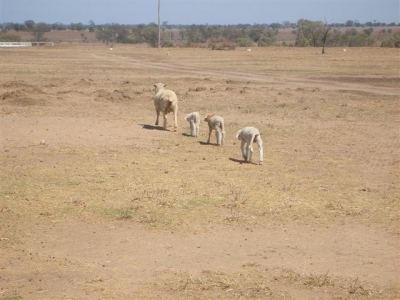 These lambs are only just three weeks of age, born in temperatures in the high 40s, 47.8 last Thursday, 19th November, 2009, 62 degrees ground temperature and there isn’t any green feed. She and others like her manage to stay in forward store to fat condition and convert the food of a very basic diet of straw and molasses and still have the will to procreate with a lot of dedication. 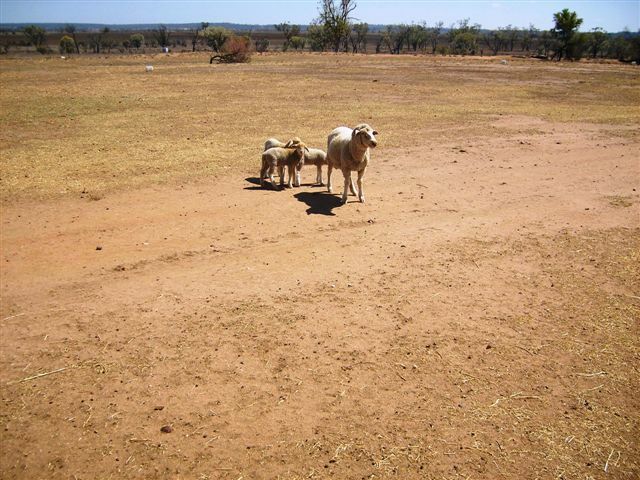 These ewes simply carry the ‘invisible’ genes for high feed conversion efficiency and high lamb survival (fertility, paternal, maternal and nurturing instincts). The selection for these powerful genetic traits has been achieved by working with nature and recording breeding values for early body growth, eye muscle depth, fat cover and fertility. 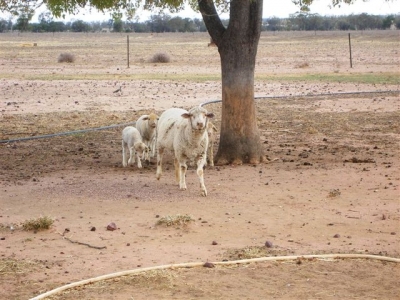 The breeding value for fat cover provided by Sheep Genetics Australia was given major emphasis in this breeding project.